Being an avid road-tripper and aspirational Van owner, I was pretty excited when I came across the newly formed Van Dyke group on Facebook. 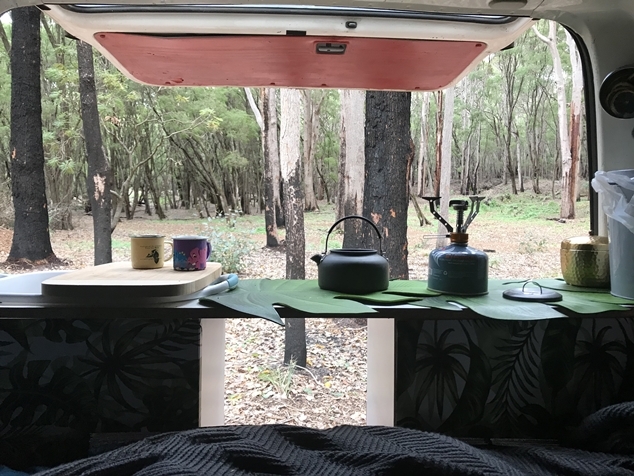 I joined with the intention of buying a camper in the near future and promptly forgot about it until fate stepped in a few short weeks later and ‘forced’ me to buy a Campervan as I was presenting a workshop in the South West. You gotta love fate. I had a chat with the Barefoot CEO of Van Dykes; Leonie Dickinson to find out more about the group. So how did Van Dykes come about? Well I was living in NSW and Melbourne Cup Day was coming up and I wasn’t having a day off and thought bugger this I want a holiday, so I took an hour off work to set up the group. Who am I going to go holidays with? Oh, I know, I’ll start a Facebook group. Solo Rollers were just starting to shut their group down. They were the original and the best and had been around for a few years. This group was for women (of all sexualities and identities) and it was a really fantastic resource. They left Facebook and became a web-based group and a lot of women were just left hanging. I been a member for a few years and it was brilliant resource if you were travelling and something went wrong and a place where you could help other women out. The group had provided support around isolation, safety, practical mechanical repairs and suggestions, so when it was archived as a group it was quite distressing for the people who had relied upon it. So, I started Van Dykes and it went off like wildfire. After starting only seven months ago, the group has grown to over 730 members from all across the country and even held their inaugural group camp last March with 56 women. Lots of lesbians like to camp it is as simple as that. The group is for anyone who identifies as a dyke and who likes the great outdoors, nature and travel. You don’t need a van, or a camper, you can have a tent or sleep in the back of your car. 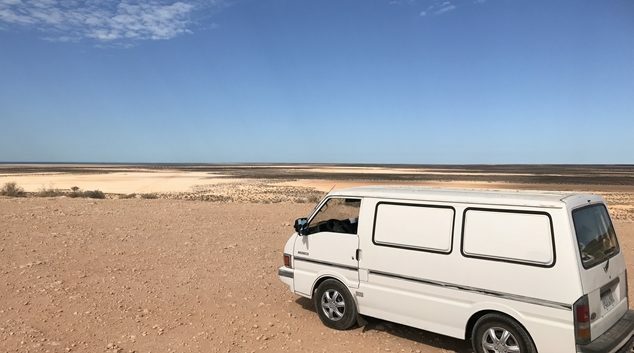 Van Dykes is a light-hearted and fun group where we can support each other on the road, as well have opportunities to meet up and find people who have similar interests to see some of this amazing country together. And it is about community, there is no doubt about it. It seems that it has also been a place for relationships to begin too. 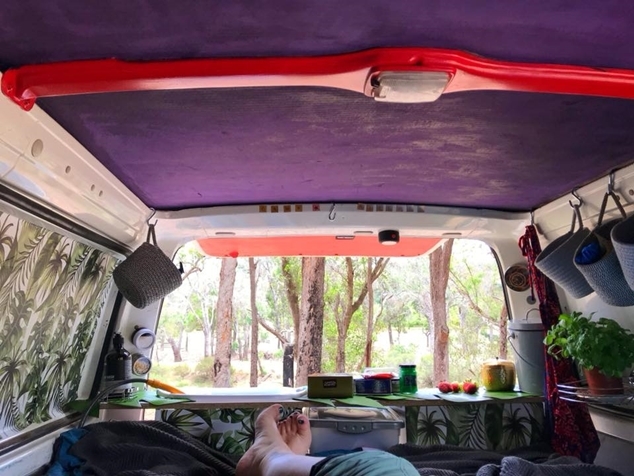 We have some members who are retired and travelling full time, some who are doing the loop, weekend campers and even some international travellers and backpackers. I met one in Noosa just the other day. Our national representation and younger demographic is increasing, and the membership is building in diversity. Just a note on the diversity and inclusivity of the group and the use of the word Dyke. I personally really like Dyke as an identity term but know that some people can find it problematic or offensive. I am not into censorship. The group is an inclusive space for anyone who identifies as a lesbian and/or Dyke and loves the great outdoors. I love the word Dyke. I have wondered if the responses in the use of the word is more of an age thing, a bit like some people that prefer to say gay instead of lesbian. I wonder if maybe there is some internalised homophobic shame and the word Dyke and maybe it’s time to reclaim it. Do you think the having visibility of other members being out there gives people confidence to get out there knowing that you have that support and connection if and when you need it? There was a woman on another similar group last year who had an accident and she was meant to be house sitting and I saw this whole group rally around her and it was absolutely inspirational. Really practically supportive I just thought if that was me and something happened while I was on the road I’d just feel like there was somebody to back me up that I can call on to be there. I pulled in to a camp in Qld last year and these 2 women cane up to me and asked me if I was a “Roller” ( as in Rolling Solo group). I looked them up and down and said, “I don’t know about that but I’m a lesbian”. We all had a great laugh and spent 3 nights by the campfire sharing stories. These 2 women are both Van Dyke members. They live full time on the road, and very much behind the inspiration for Van Dykes. “I joined 4 months ago. A friend from Tweed Heads told me about the group and I thought it would be great for making new like-minded friends. I think it’s great to meet and chat to others who have similar interests, but also for safety if traveling in remote areas. Seeing the explosion in the variety of LGBTIQ+ groups that offer alternatives to ‘the scene’ is exciting. We have just put a Van Dyke sticker on our little van Vincent (Van….Go!) and I can’t wait to spot more Van Dykes in the wild as the group begins to grow. Van Dyke Camp #2 will be held in Nannup this November. Find out more and join the fun on Facebook.